Despina Michael-Grigoriou is an Assistant Professor at the Department of Multimedia and Graphic Arts of CUT, and the founding director of the Microsoft Computer Games and Emerging Technologies Research Lab – GET Lab (http://getlab.org), established with seed funding from Microsoft. She coordinates, on behalf of CUT, the inter-university postgraduate programme “MSc in Design and Development of Computer Games and Interactive Technologies”. In the past, she was a post-doctoral researcher at EVENT Lab, University of Barcelona (2011), which specializes in experiments within Virtual Reality systems. She also held the position of Lecturer (2009-2011) at the private tertiary education sector. Before that she was a research associate (2002-2009) at Computer Graphics and Virtual Reality Lab at the Computer Science Department, University of Cyprus, from where she received her PhD in Computer Graphics in 2010. She has received several awards and distinctions including: Anita Borg Scholarship awarded by Google (2008); nomination of her PhD dissertation for the Best PhD Thesis Award of the Eurographics Association (2011); and two best papers awards (VSMM 2014 & VS-Games 2014). Her research interests focus on Computer Graphics and Virtual Reality with emphasis on well-being; she has published her work in top-ranked venues of these fields (including the top ranked ACM Siggraph Asia, Eurographics, Computer Graphics Forum). 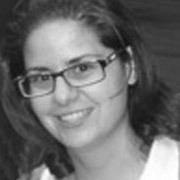 Despina was the deputy scientific coordinator and a principal investigator of the H2020-TEAMING RISE project, while she currently participates in two other H2020 projects. She has been involved in more than ten other funded research projects in the areas of Computer Graphics and Virtual Reality.